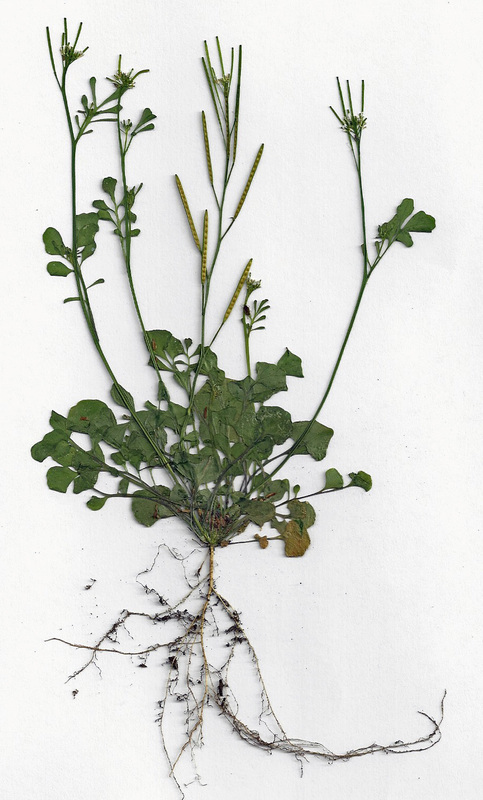 Is there a plant family that consists of more weedy species than the mustard family? Asteraceae and Poaceae, for sure. Fabaceae or Lamiaceae, perhaps. 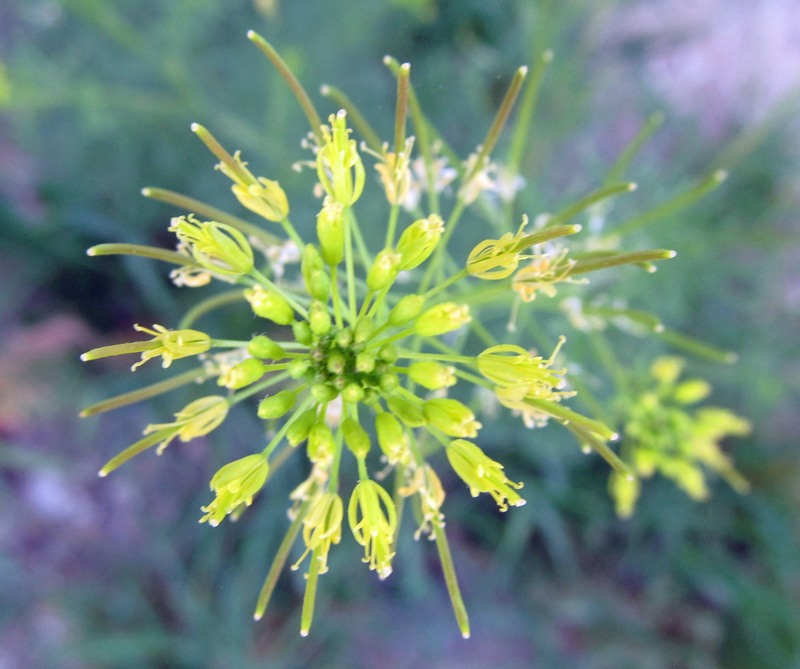 Regardless, Brassicaceae is replete with dozens of species – mostly annual – that are skilled at taking advantage of the disturbed environments that humans are in the habit of creating. It helps that the mustard family is so large: 372 genera and over 4,000 species distributed across the globe. Around 55 genera are said to occur in North America. Most of the plants in this family are herbaceous; few are shrubs. Foliage is aromatic, especially when crushed. Flowers are particularly distinctive. Each flower has four petals – in some species petals are divided, giving the impression that there are more than four – arranged in the shape of a cross or “X.” Flowers are often small, have 4 tall stamens and 2 short stamens, and commonly come in white, yellow, pink, or purple. They are arranged on a raceme, which is typically either tall and straight or compact and flat-topped. Fruits in the mustard family are capsules with two compartments separated by a clear membrane. The capsules may be at least three times longer than they are wide, in which case they are referred to as a silique; or they may be less than three times longer than they are wide and referred to as a silicle. This is a curious distinction, and it doesn’t tell you all that much. It’s more important to understand that the capsules of mustards can come in various sizes and shapes, and that some can be long and narrow while others are short and either round or angular. 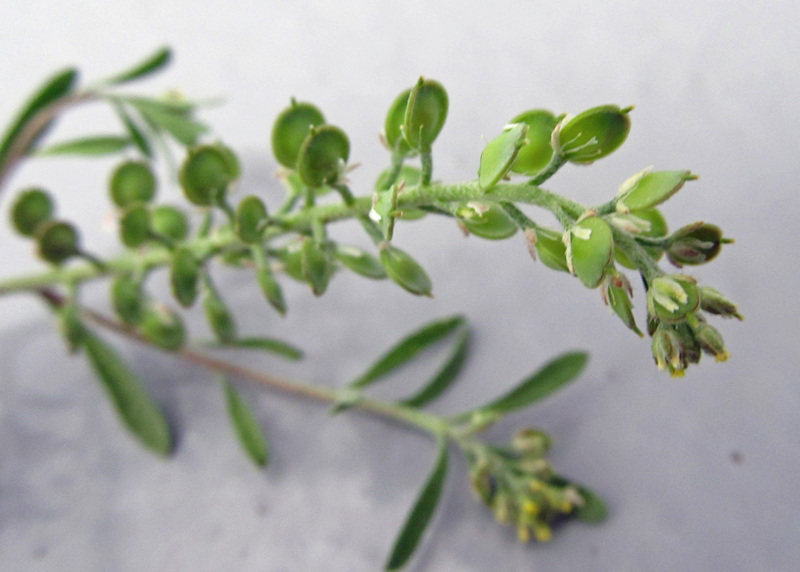 Despite the size or shape of the capsule, enclosed are numerous seeds – sometimes dozens. 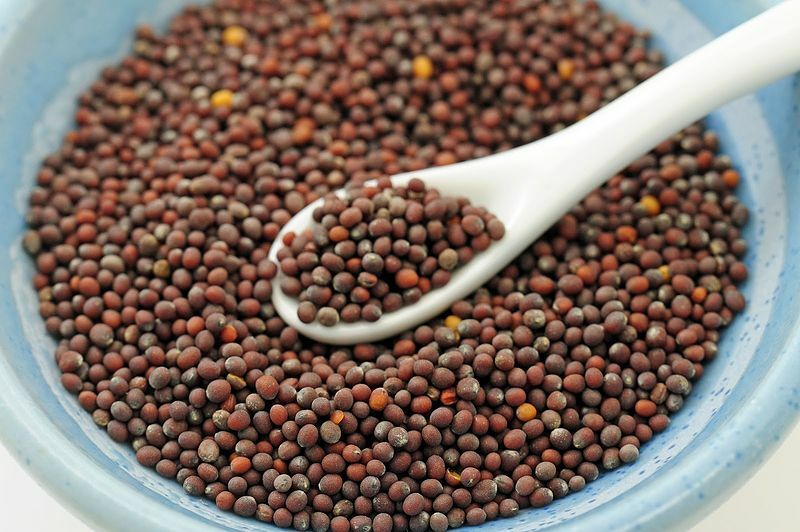 Surely one of the reasons why plants in the mustard family are so successful at proliferating is their ability to produce thousands, even tens of thousands, of seeds per plant. The seeds are typically tiny; and while they may not make it very far from the parent plant, they are numerous. Depending on the species, they can also remain viable for years, affording them the opportunity to sprout whenever conditions are right. You may have heard the biblical verse about faith the size of a mustard seed giving one the ability to move mountains. Size seems irrelevant here, so how about faith as tough, resilient, opportunistic, and resourceful as a mustard seed? If a mountain can be moved, mustards might be the one to do it. While it isn’t the scope of this post, it’s worth mentioning the chemical compounds present in mustards that give them the flavors and health benefits we enjoy as well as the toxicity that can harm us and any other organisms that dare consume them. Glucosinolates, which are present in various concentrations depending on the species, are a defining characteristic of plants in the mustard family. 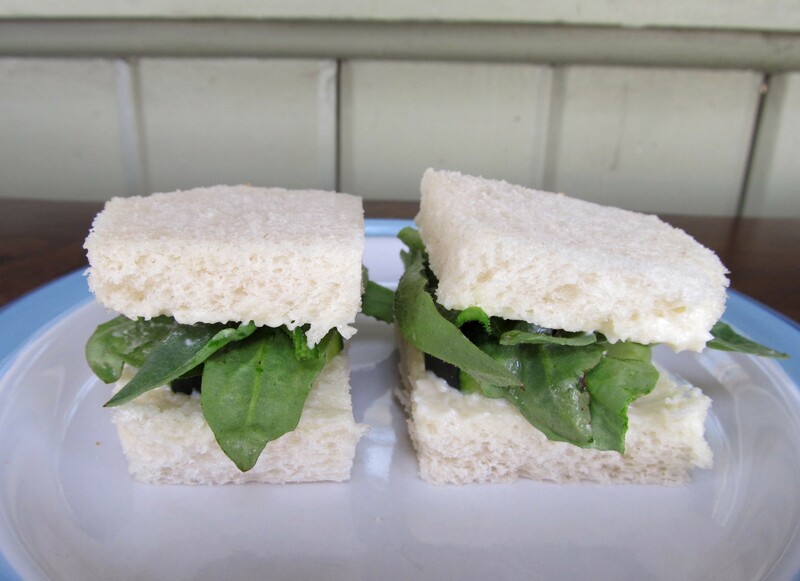 They contribute to the spicy-ness of things like horseradish, radish, and condiment mustard while also acting as a natural insecticide, deterring herbivory. Garlic mustard (Alliaria petiolata) – a noxious weed in many parts of North America – is fortunately not an issue in southwestern Idaho, otherwise it would be first on the list. 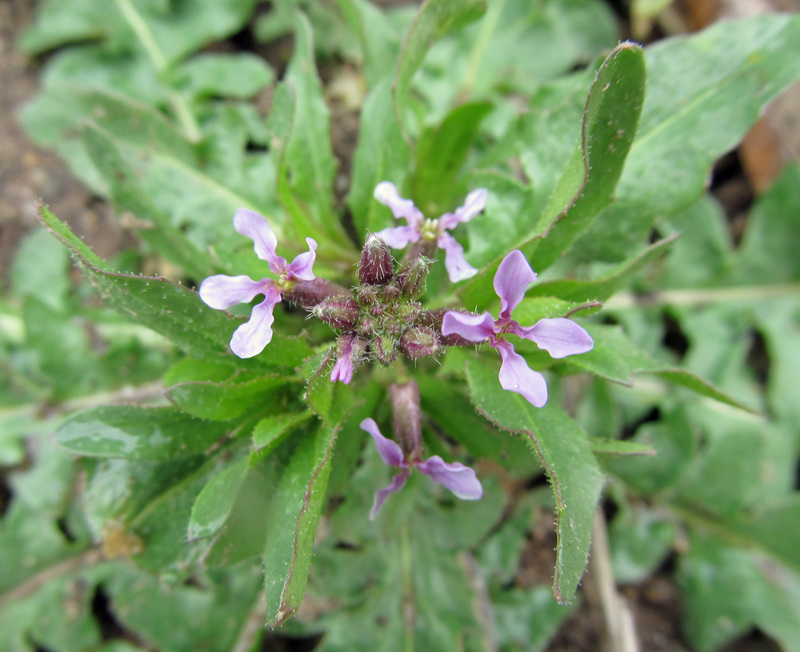 Instead, we deal with whitetop – a noxious weed in Idaho and several other states. 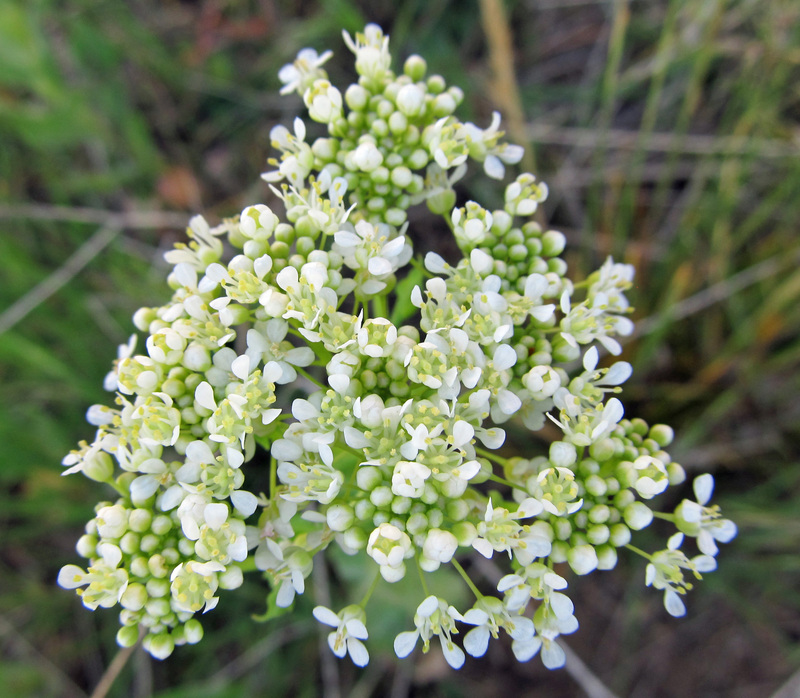 As the common name suggests, individual plants – up to two feet tall – are topped with a dense cluster of tiny, white flowers. Seed production in this group isn’t as abundant as other mustards; instead, the tour de force are their rhizomes. Whitetop is a perennial plant that spreads aggressively via underground stems as well as root fragments and can easily form expansive, dense patches, outcompeting other plants in the area. 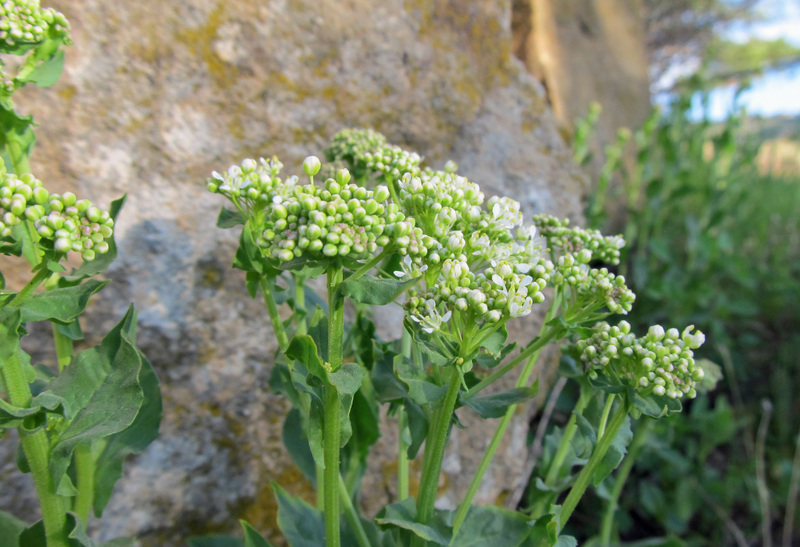 Another common name for this group is hoary cress on account of their gray-green, fuzzy foliage. They are further distinguished by the shape of their seed pods: lens-podded hoary cress (L. chalepense), heart-podded hoary cress (L. draba), and globe-podded hoary cress (L. applelianum). There are two species of tansymustard (also known as flixweed) that occur in my part of the world, one is native and the other is introduced from Europe. They are indistinguishable to my untrained eye. If I have seen them side by side, I wouldn’t have known it. They are both annuals and can be as short as a few inches to over two feet tall. 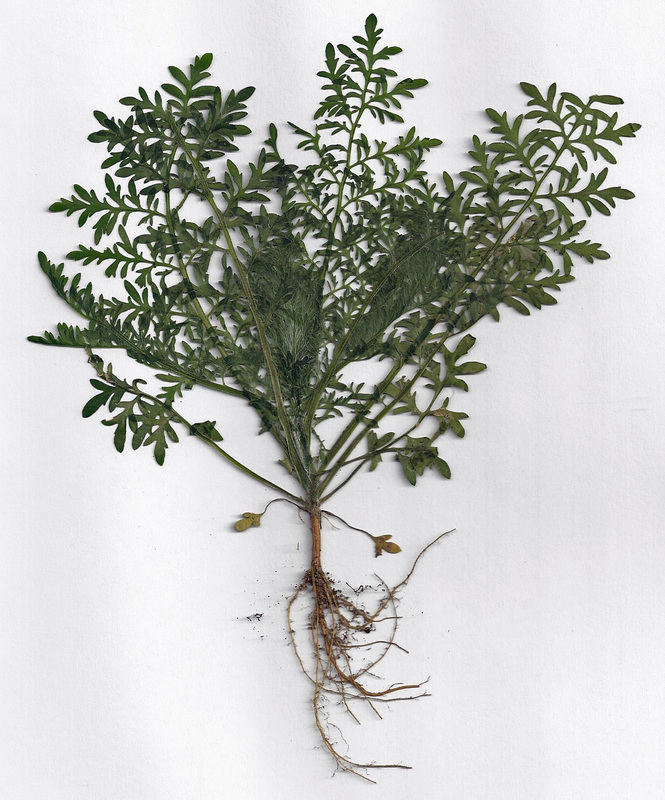 They have highly dissected, fern-like leaves and tiny, pale yellow or green-yellow flowers. The seed pods are very skinny and around an inch long. Each pod can hold 40 seeds, and a large plant can produce over 75,000 seeds. They are quick to take advantage of disturbed soil and come up in abundance after a fire. I’m not sure what it is about this year, but they have been particularly prolific this spring. Also known as musk mustard or crossflower, this sticky, stinky, annual plant apparently makes cow’s milk taste funny; however some people still enjoy eating it. 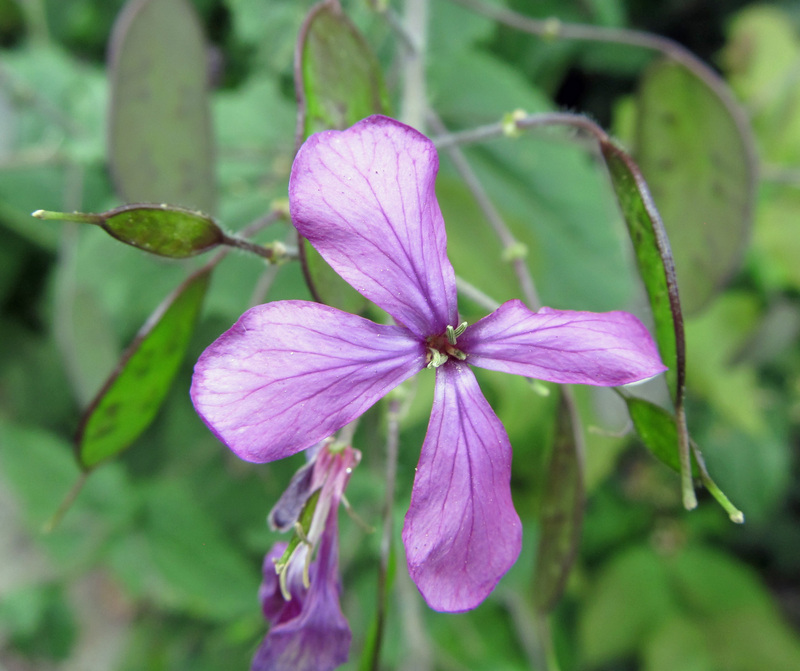 It can get to about a foot and a half tall, and is adorned with pretty, little, blue-purple flowers. The pointy seed pods split crosswise rather than lengthwise, an uncommon trait in mustards. Like tansymustard, this species is very similar in appearance to another closely related species, Alyssum alyssoides (commonly known as pale madwort or yellow alyssum). Both are annuals under a foot tall, covered in tiny hairs, with minuscule yellow flowers, and numerous round seed pods. They are adapted to dry, neglected sites. 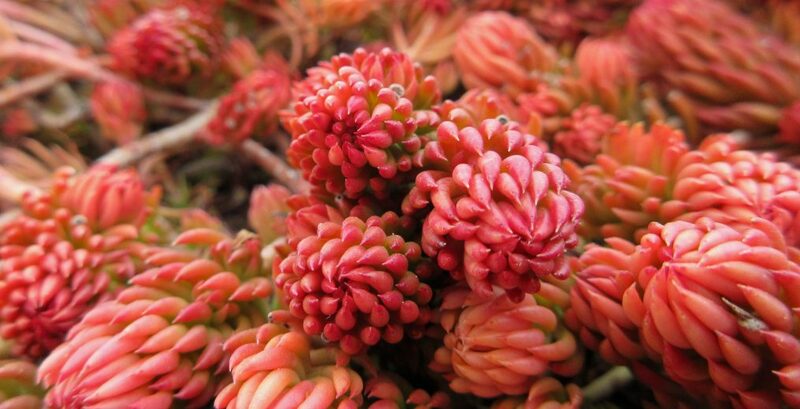 If you don’t recognize this plant when it’s flowering, you will when its seed pods ripen. They are thin, round discs up to three inches across. Eventually, the outer layers of the seed pods fall away, and translucent membranes remain, sometimes with seeds still attached. This trait has earned this species common names like money plant and silver dollar. The plants are attractive, reach up to three feet tall, and produce showy, purple flowers, which explains why they are popular ornamentals. 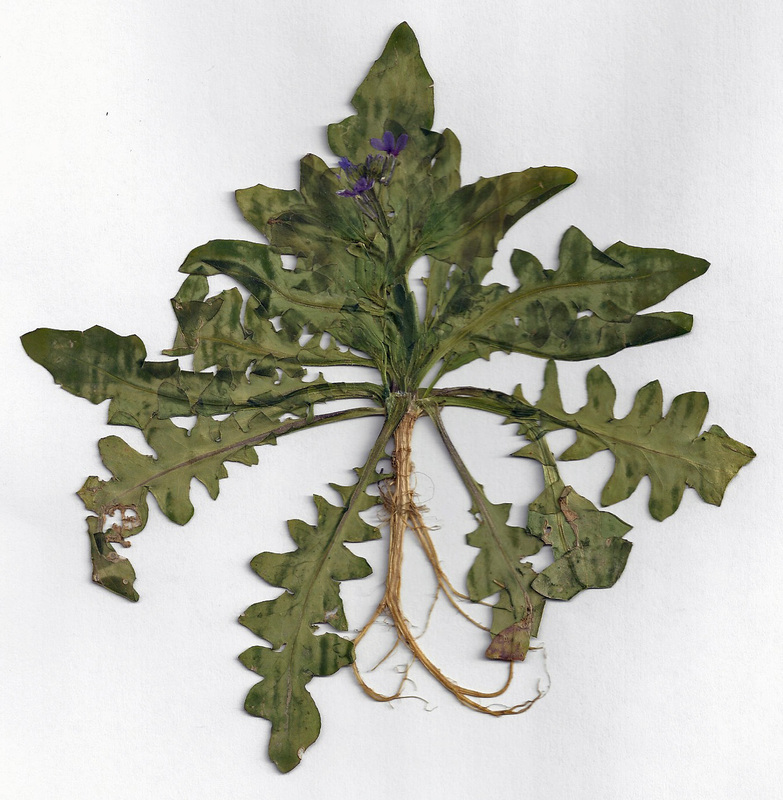 However, like other mustards, the proficiency with which they reproduce in abundance via seeds, means they also easily migrate into natural areas and neglected sites. This little, quick-growing, fast-spreading annual is a common nuisance in greenhouses and nurseries. On stalks above compact rosettes are borne clusters of white flowers that, as Ken Thompson writes in The Book of Weeds, “are so tiny they are almost invisible.” The slender seed pods burst open at maturity, sending minuscule seeds flying. Brush your hand over a patch of mature hairy bittercress and you will be bombarded. I’ve observed several other weedy species in this family recently, but to keep the length of this post reasonable I will just list them here: shepherd’s purse (Capsella bursa-pastoris), clasping pepperweed (Lepidium perfoliatum), spring draba (Draba verna), tumble mustard (Sisymbrium altissimum), and pennycress (Thlaspi arvense). 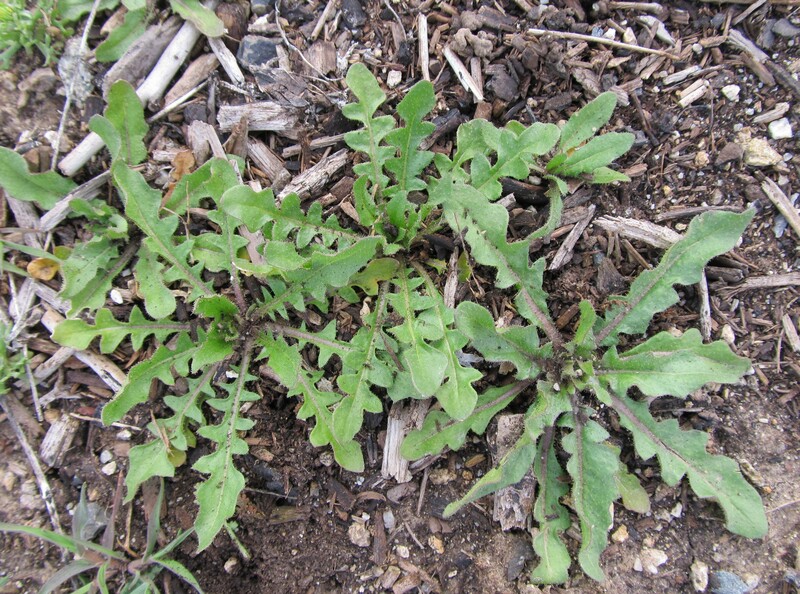 This list only scracthes the surface; there are many other weeds in the mustard family. All deserve to be mentioned, so perhaps another time.